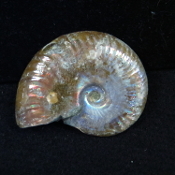 This Opalized Polished Ammonite measures 2 1/2 x 2 inches. Stand sold separately. This item ships free anywhere in the continental USA. 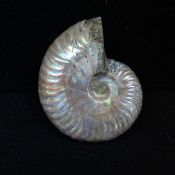 This Opalized Polished Ammonite measures 3 x 2 1/4 inches. Stand sold separately. This item ships free anywhere in the continental USA. 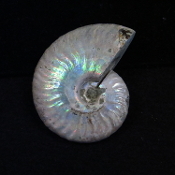 This Opalized Polished Ammonite measures 2 x 1 5/8 inches. Stand sold separately. This item ships free anywhere in the continental USA. 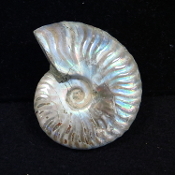 This Opalized Polished Ammonite measures 3 x 2 1/4inches. This piece has been discounted due to a flaw. Stand sold separately. This item ships free anywhere in the continental USA. 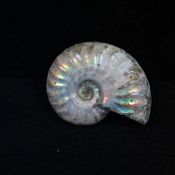 This Opalized Polished Ammonite measures 2 1/4 x 1 3/4 inches. Stand sold separately. This item ships free anywhere in the continental USA. 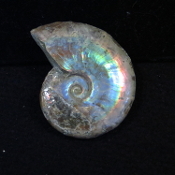 This Opalized Polished Ammonite measures 2 7/8 x 2 1/4 inches. Stand sold separately. This item ships free anywhere in the continental USA. 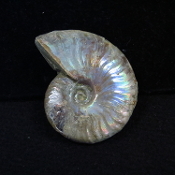 This Opalized Polished Ammonite measures 2 1/8 x 1 3/4 inches. Stand sold separately. This item ships free anywhere in the continental USA. This Opalized Polished Ammonite measures 2 1/4 X 1 7/8 inches. Stand sold separately. This item ships free anywhere in the continental USA. This Opalized Polished Ammonite measures 1 7/8 X 1 1/2 inches. Stand sold separately. This item ships free anywhere in the continental USA. This Opalized Polished Ammonite measures 1 7/8 X 1 3/8 inches. Stand sold separately. This item ships free anywhere in the continental USA.